As our farm tour season has come to a close, I pause to think about the many different communities that joined us on the farm this year. 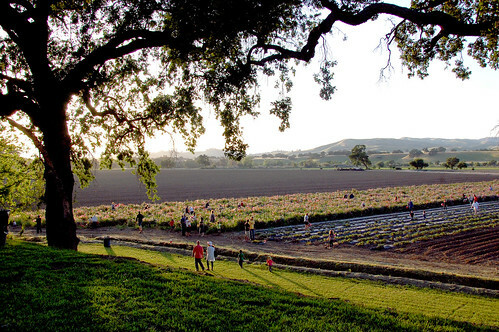 From March through October, we've enjoyed sharing our farm with groups of families and friends. We’ve had kids with mouths open in surprise when they see stick-straight asparagus pushing through the spring soil. 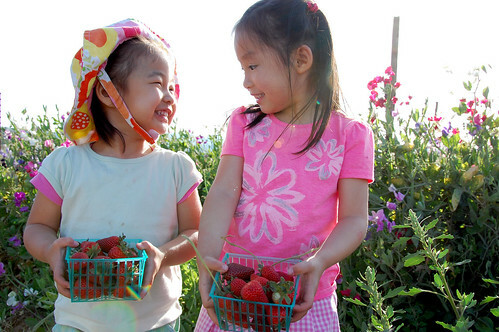 We've seen folks coming in from the fields with strawberry-red fingers and mouths as they sample the sweetness found among the strawberry rows. 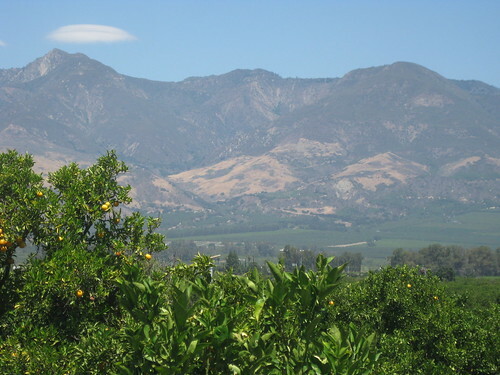 We had visitors taking home navel oranges by the bag full at our Bardsdale farm, a small farm about an hour outside of Los Angeles that we're excited to "grow" into a site well-suited to welcome visitors, a place where we can connect with our Southern California customers. In addition to our regular farm tours, we were able to host three seasonal events benefiting the Kathleen Barsotti Non-Profit for Sustainable Agriculture. 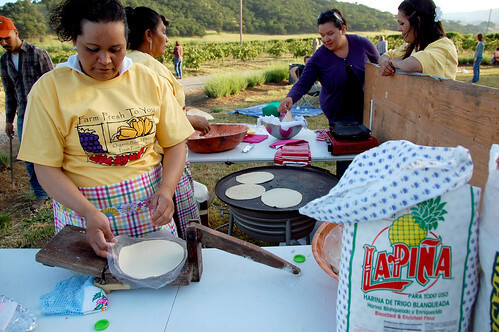 CINCO DE MAYO - Mariachi and other Latin music got revelers moving as they enjoyed tortilla-making demonstrations, pinatas, strawberry and sweet pea flower picking and watching the 'Super Moon,' the year's largest moon, rise over the hills. 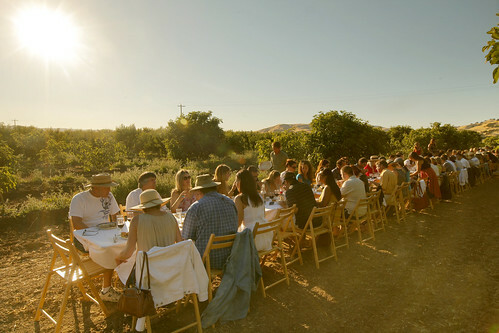 CAPAY TOMATO - This year marked our 5th Annual Capay Tomato event - an afternoon and evening celebrating all things tomato! 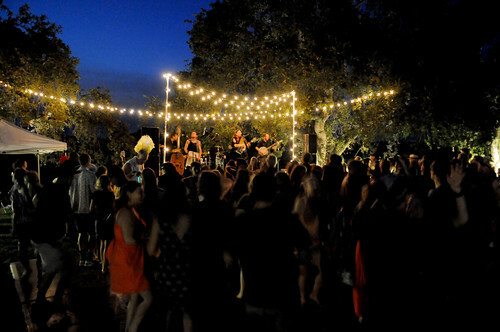 The weather was perfect, the heirloom tomatoes were plentiful, people danced by twinkling lights and campers breathed in deep the farm's night air. View more photos. 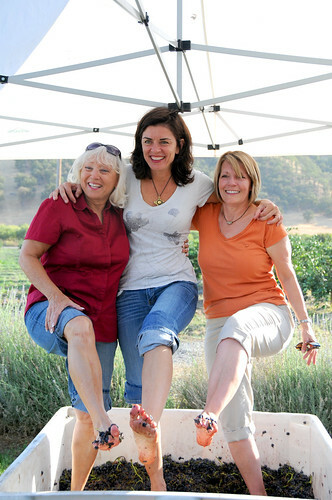 CAPAY CRUSH, our annual party in September cheered the grape harvest, featuring local wine and food, grape stomping, a harvest activity, live music and a camp out. 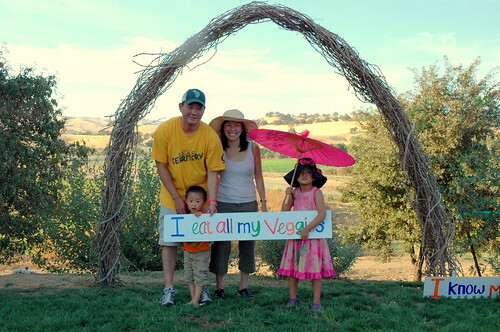 Visitors gathered at our farm-style photo booth to capture their visit. View more photos. In addition to our own events, we were so very excited this year to be chosen by Outstanding in the Field to host one of their fine dining experiences taking place in the fields of farms across the country and abroad. It was an experience we will always remember as we shared an amazing evening and meal with new and familiar faces. View more photos. It wouldn't be a farm tour season without the enthusiasm from our school visitors! 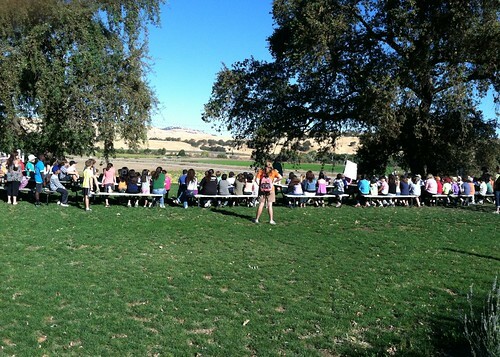 We are excited each year to welcome school groups to the farm to learn more about organic and sustainable agriculture and how we are all connected as a community. It's wonderful to watch children interact with the farm, getting their hands a little dirty harvesting something fresh from the field, helping us spread ladybugs and enjoying the many sights and smells to be discovered in the air, on the ground and all around. As part of our school visits, we were proud to welcome community school foodservice leaders and parents who joined us in the field on a couple of occasions to see where their food is grown. From our work on Yolo County's Harvest of the Month to welcoming Oakland Unified School District, we are excited to be working on several projects to improve school nutrition. 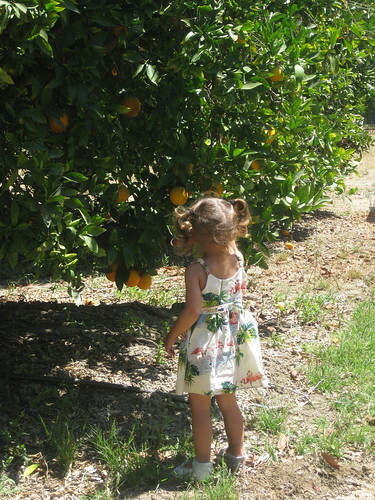 Whether it was a first grader coming to a farm for the first time or a foodie joining us for a special meal in our fig orchard, we welcomed them all, grateful for their interest in our farm and happy that the food system is changing for the better by connecting people with the land that grows their food. If you are interested in bringing a group or a class to the farm, you can find more information here. We want to extend a big thank you to everyone who joined us at the farm this year. 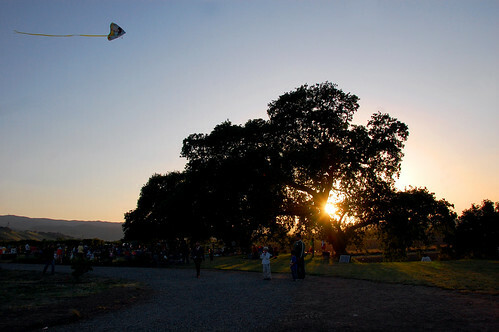 Much gratitude also goes to our Events Team that works to turn our working farm into a place where our community can gather and connect with the land.